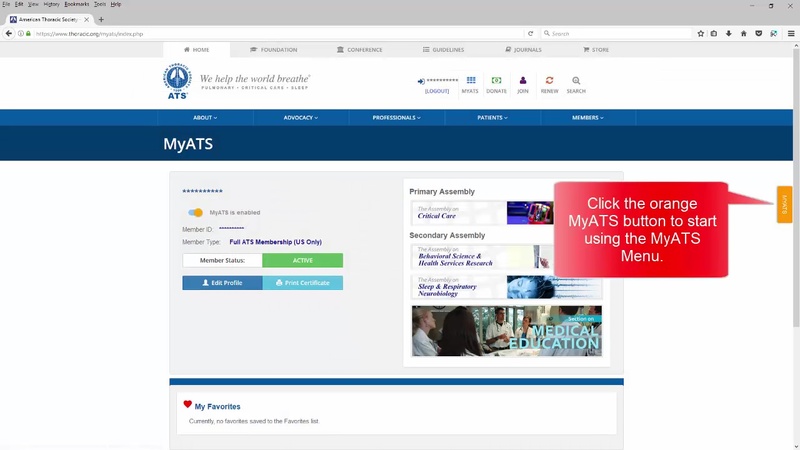 MyATS is an online portal that allows ATS members to customize their web experience by identifying their “favorite” web pages on the ATS website and saving them in their MyATS dashboard. 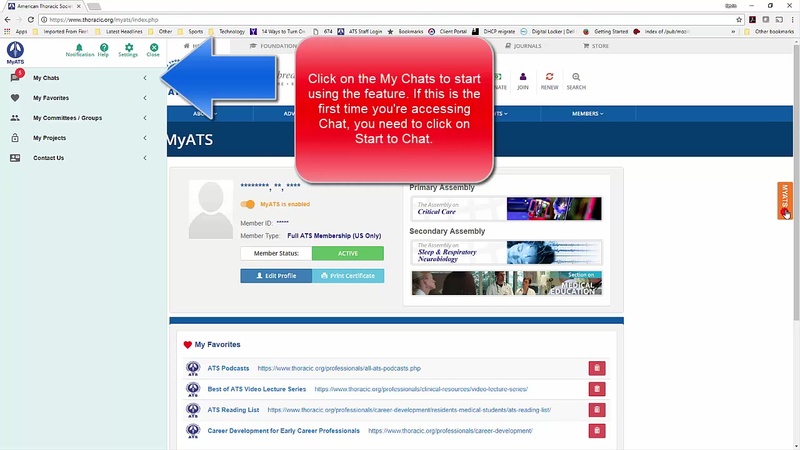 New features includes Direct Chat and Private Chat Groups. To learn more, including how to get started, please watch the videos below.